The Lure of Angling: Two days, two rivers and more pike. 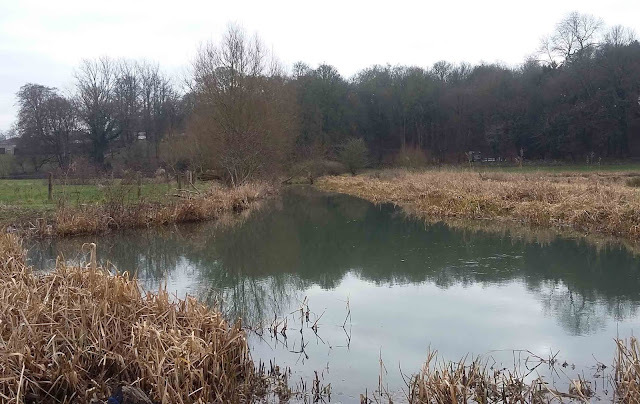 A diary of my fishing throughout the year. 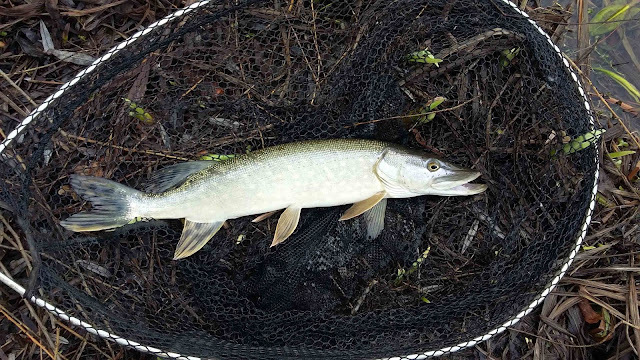 Two days, two rivers and more pike. I keep having to remind myself that its actually January as my brain and reality ain't quite linking up. The problem is that January is meant to be cold isn't it and to me it just don't feel that cold right now, hence the disconnect. It's at this time of year that I normally let opportunities pass me by with the rivers but this time round I am, or should say was, determined to make the most of the back end of the river season by getting in some sessions when I can. 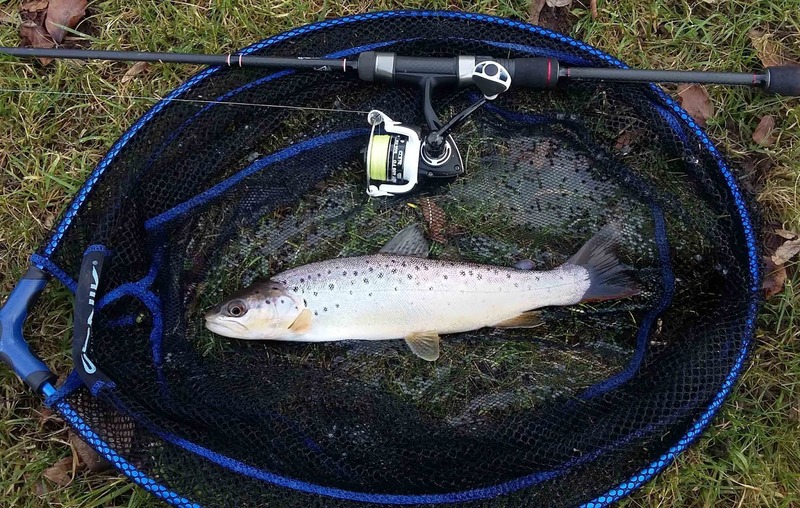 A few weeks ago I was actually fishing two days back to back on two different rivers and I was determined to get the best out of both sessions no matter what the date and what the conditions. 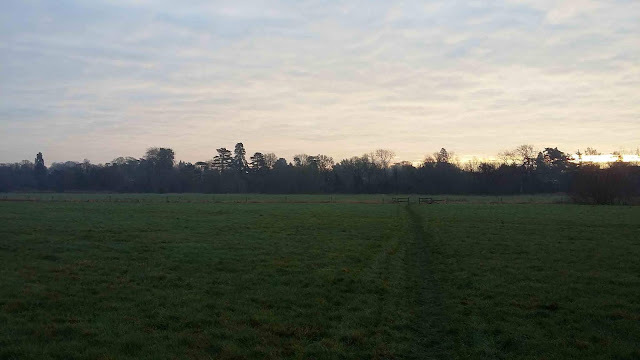 And so on yet another mild January morning I walked across the fields towards the quiet stretch of the Upper Avon with dreams of eager predators waiting for my lure to tempt them into attack. 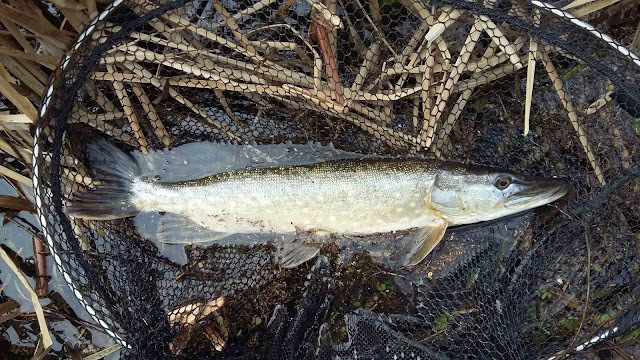 ...and two jack pike from some very heavy cover in a dark back water. Even though I caught I actually went home a bit disappointed as this section produces zander so well in the late summer and early autumn, but once winter kicks in those zander seem to just disappear. I am sure there are some really big ones hiding somewhere on this stretch. The day after I found myself heading out with my good friend Martin Oxley to fish the diminutive River Windrush in Oxfordshire. It's both underrated and overrated if that makes any sense. 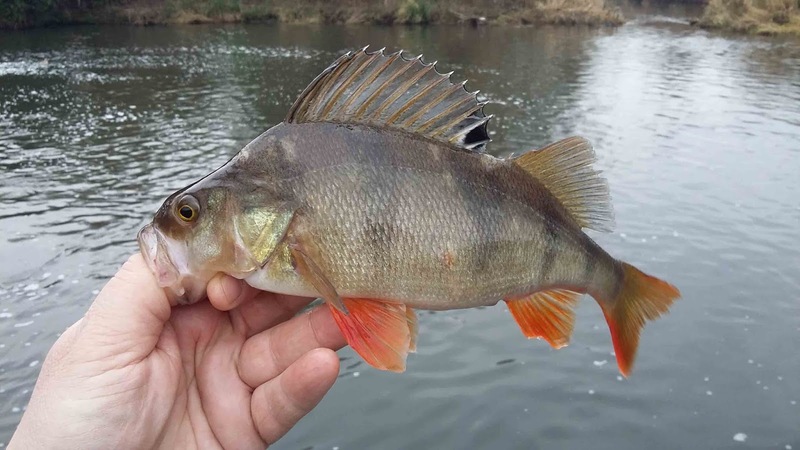 It's overrated in the way that the controlling club portray the fish stocks as there's not a huge amount of fish in the river, but I know for a fact that it does throw up the odd insane capture here and there which probably makes it underrated. 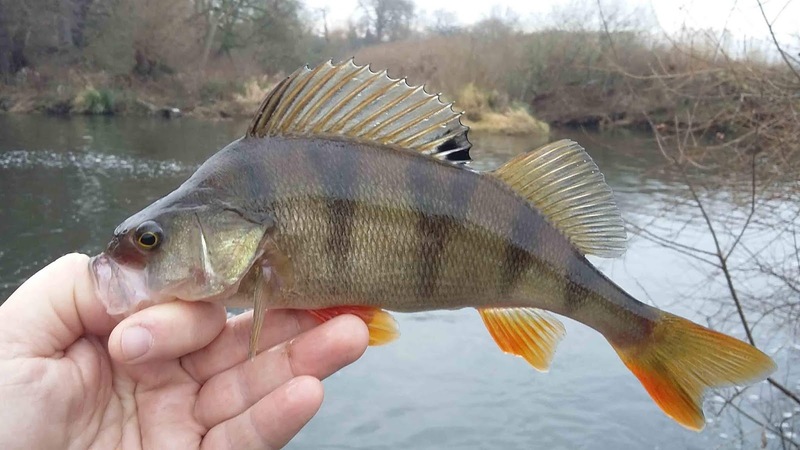 Martin had Grayling in mind of which there is a small population on this river; as for me it was all about trying to locate a humongous perch from a tiny river. Through the morning we worked one section on the river hard. I was either presenting lob worms around any perchy looking features or combing the deeper areas using Z-man TRD craws to try and replicate the crayfish that the Windrush is rife with. 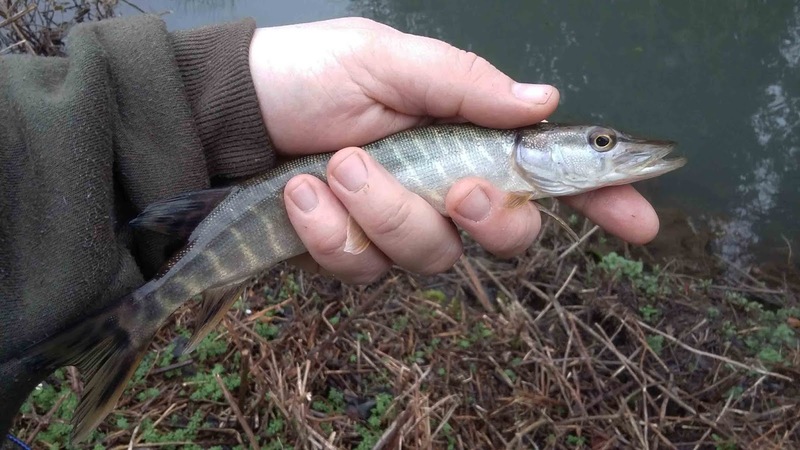 Apart from an errant chublet which grabbed my trotted worm as it passed a overhanging blackberry bush, all I had to show for my morning was a tiny little baby jack pike which was so small it hadn't developed spots yet and was still stripy. My afternoon fared no better and on the open runs and deep glides I failed to locate any of the Windrush monsters, even after prebaiting several swims and fishing every likely looking spot with both bait and lure even as good as the water looked. The highlight of my trip had to be the tiny run of fish I got towards the end of the day. Between the two of us we'd fished every possible swim available to us. I ended up fishing the quiet and sheltered mill race where I caught a small dace and tiny trout trotting maggots in the shadows of the trees. Thinking I had finally found a group of fish I rolled the dice that there might be some predators around and cracked out the lure rod. After diligently fan casting the whole area I got a hit right at the end of the run as the lure dropped into deeper water. I really thought I'd found a good perch judging from the power the first showed on that first run. That was until it came flying out of the water like a rocket two or three times before performing a perfect flip on its last jump. Even once I knew it was a trout I wasn't disappointed as on this light outfit it was the perfect capture on which to end this winter foray. Tusses Freestyle Warm Up friendly. Airborne Snakehead - Immediately after hookset, this snakehead flies out of the water right at me. Glad I had the camera rolling for this one.